Curious what the difference maker was for the All-Americans of last season; Summer Field Hockey Training Camps! Lake Forest College is located just 30 miles north of Chicago in one of the most beautiful suburbs on Chicago’s North Shore. Lake Forest provides a secure, supportive environment for our campers and Converse College Head Coach Valerie Clarke is delighted to take the helm at Farwell Field. Valerie, a Hinsdale IL Native and our impressive staff of college coaches & players are committed to helping campers build sound fundamentals and establish strong game awareness. Check In: 12pm – 1pm for both commuters and overnight campers. Tip for Extended Day Campers is to come at 12:30pm. First meal is Dinner. Check-in location will be at Blackstone Hall dorm. Check Out: Wednesday, July 25th. Parents are invited to attend final scrimmages that begin with warm-ups at 9:00am. Check-out and departure will follow at 12:00pm at Blackstone Hall dorm. The nearest airport is O’Hare International Airport in Chicago, IL. You are responsible for getting yourself to and from campus, Revolution Field Hockey does not provide transportation. Valerie Clarke joined the DII Converse College (SC) program for their 2nd season in program history. Coach Clarke served as the assistant coach for Concordia University- Wisconsin from 2015 – 2017, focusing on the goalkeeper development. Prior to joining the Valkyries, Coach Clarke served as the club administrator, U16 elite head coach, and goalkeeping coach for the Milwaukee Field Hockey Club. On the recruiting front she helped to recruit three players headed to Division I schools, one to Division II, and three to Division III. Prior to her stint at the club level Clarke coached High School Field Hockey for University School of Milwaukee from 2010-11 and then Divine Savior Holy Angels High School from 2011-15. In 2010 her team won the Wisconsin State Championship after an undefeated season. Clarke graduated in 2010 with a Bachelor of Arts in International Studies and German from Rhodes College in Memphis, Tenn. She played all four years for the Lynx as a goalkeeper, where she led the conference in goals against average during her senior season. Clarke also helped guide her team to conference championships during her freshman and seniors campaigns. She also obtained her Masters of Science in Sport Management from Cardinal Stritch University. A 2006 graduate of the Asheville School in North Carolina she was a three-sport athlete (field hockey, snowboarding, and soccer) where she won multiple conference championships and state awards. Holly Heeb joined the Morrisville State Mustangs in January 2019 as the assistant field hockey coach. 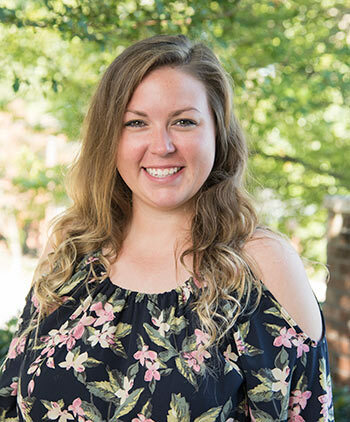 In December 2018, Heeb graduated from Hendrix College with a Bachelor of Arts degree in Psychology. During her time at Hendrix, she was a two-sport student-athlete competing in field hockey and women’s lacrosse. During her time in the Hendrix Field Hockey uniform, Heeb started in all 47 games at midfield, breaking 5 program records in goals, assists, points, shots, and shots on goal during her senior campaign in the fall of 2018. She was a four-time NFHCA Great Lakes All-Region honoree and four-time First Team All-Southern Athletic Association (SAA) honoree, where she served as captain for two seasons. She was also nominated to play in the 2018 Victory Sports Tours / NFHCA Division III Senior Game. Heeb, aside from her success within conference play, also earned academic honor roll recognition within the SAA, and was named to the NFHCA Division III National Academic Squad in 2015. Off the playing field, Heeb served as a Student-Athlete Advisory Committee representative from 2016-2018, fulfilling the role of President during the 2018 season, where she re-established the NCAA Division III Partnership between the Special Olympics of Arkansas and Hendrix College with annual activities and coordinating volunteer opportunities.